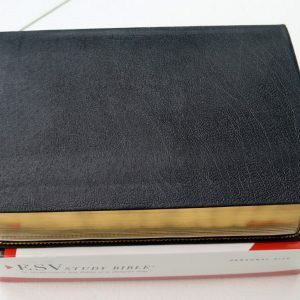 This Bible is beautiful, I have many premium Bible’s and this Bible can stand on it’s own with the quality and for the price it bets all of them..the leather is soft and durable not like the plasticy Genuine leather..the print is very clear and like the title states LARGE which make it very easy on the eyes when reading..I am very pleased the quality of the paper and the lining up of the print..there is no red print in words of Christ and it will come with two ribbons which isn’t stated in the description..and again for the price you can find it anywhere else.. Thanks to evangelicalbibe, I received a wonderful edition of the large print bible in top grain leather. I love it because it has just the right size font, easy to read, at a reasonable price. The four star rating instead of five is due to a minor scuff mark on one of the pages,however, I can live with it. This edition is worth the money. 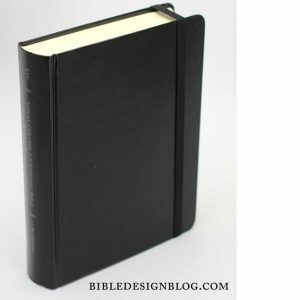 When Schuyler discontinued the Quentel Calfskin ESV, I decided to get one of these Bibles instead. 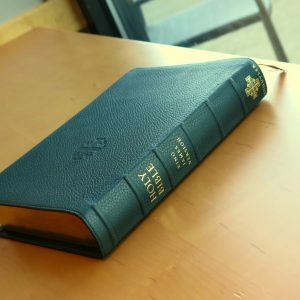 This Bible was overpriced at the original $140, and still seems overpriced at $80. The quality level is nothing like a Schuyler, which (for the calfskin) actually costs less. 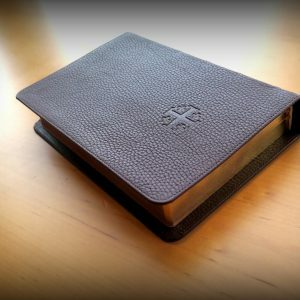 For a premium Bible, I was expecting more. 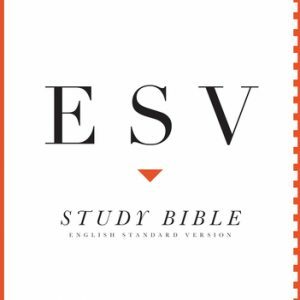 What I like about this Bible is that the interior typesetting is identical to the ESV pew hardback, so I knew before I bought it that it was readable and worth getting. The white paper is a little brighter than a Schuyler, but still not too bright and the text contrasts well with it. I am happy with the readability. 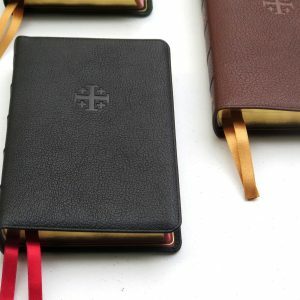 The mystery leather is top-grain, but nowhere does it say what specific leather it is. What stands out to me is how thin the leather is. 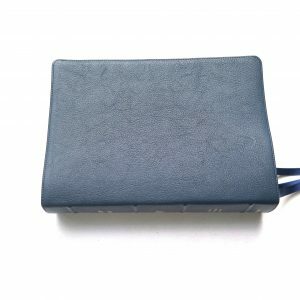 The leather cover is not reinforced with a paper backing. 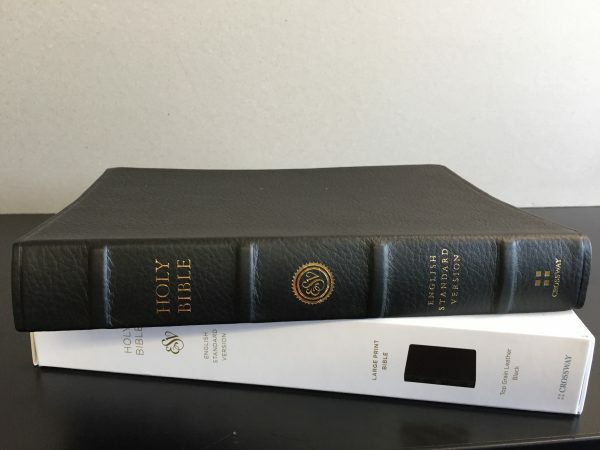 The older ESV I am replacing is a genuine leather Bible from 2004, and the leather is noticeably thicker. 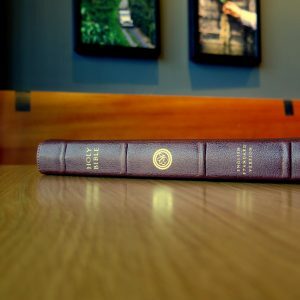 The most unusual thing about the Bible is that it doesn’t lie flat when I open it. I am not sure it will ever loosen up. I don’t think it’s supposed to. 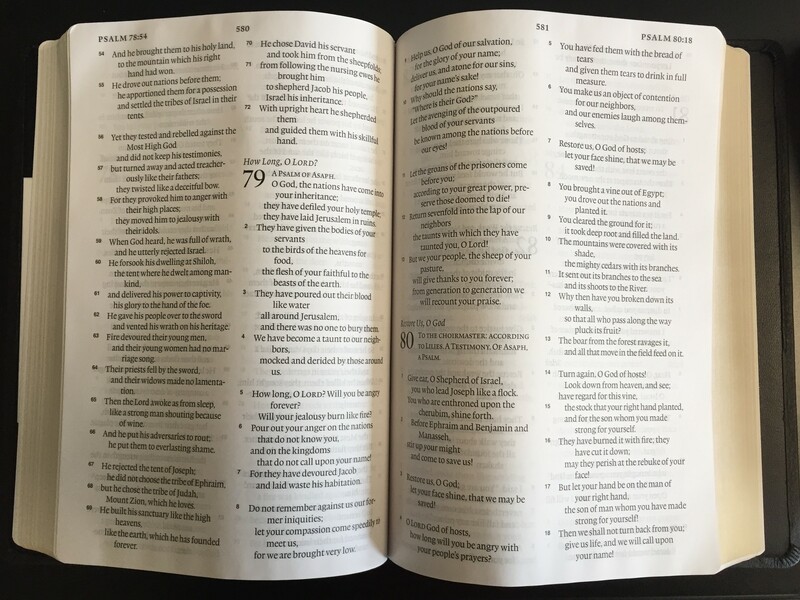 The first and final page have a crease, which makes the pages have a visible hump when the Bible is open. The binding is really tight, unlike the Schuyler I have which opened flat when I opened it. 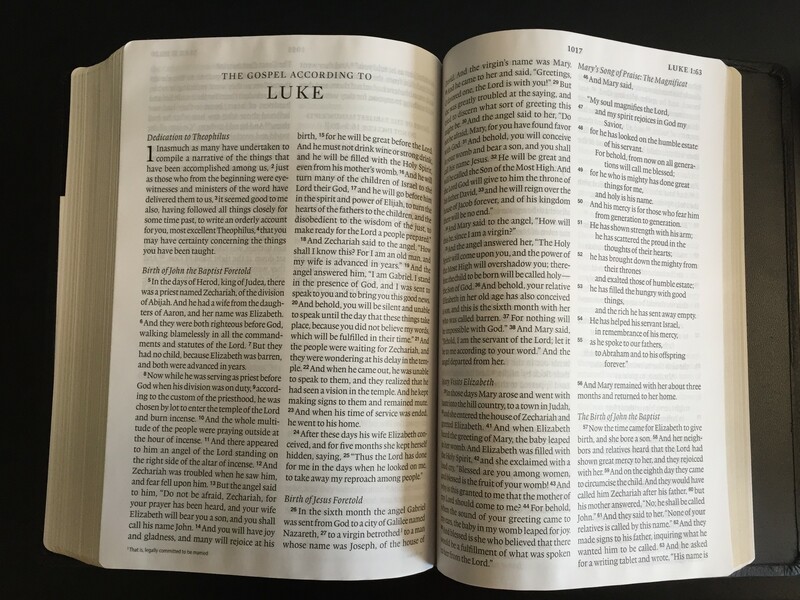 This Bible, on the other hand, seems to be designed to be tight. 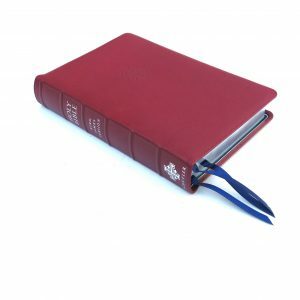 The tight binding makes the Bible easy to hold in one hand while turning to references with the other. I needed to get used to it. 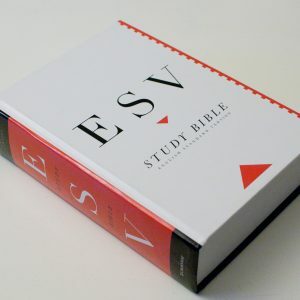 I’ve never had a Bible like this. The tight binding also probably means the pages won’t start falling out from the edges towards the middle, so I would be very happy if that is the case. I don’t know if the spine will get loose over time or not, but I’m not sure I want it to be too loose, since I don’t want the pages to start falling out. As a result of the tight binding, the innermost part of the text gets swallowed up a little in the fold. It’s not bad, but it’s noticeable. 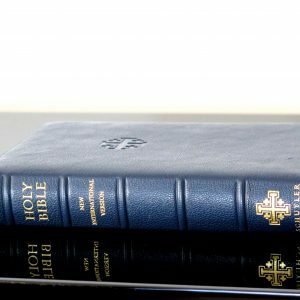 The Bible is printed in China, something that this web site (and no other site that I know of) discloses. I doubt I would have ordered the Bible if I had known that. 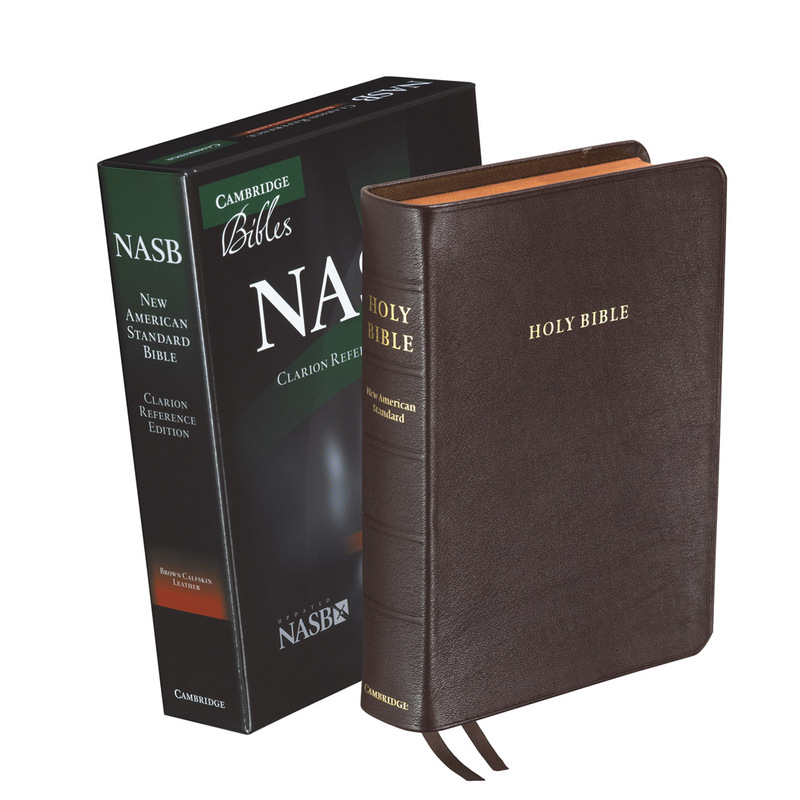 I didn’t realize premium Bibles were printed in China.